And recent evidence suggests that here in the U.S., despite the near recent global downturn, we are even more compelled to give than ever before; as exemplified by the significant growth in educational not-for-profit organizations. A 2012 report from the Urban Institute states that, ‘over the past 10 years, the number of non-profits registered with the IRS has grown 24%, with educational organizations standing second highest’ in growth, controlling 18% of the market (Blackwood et al 2012: 3). Education’s assets increased from $145.4 billion in 2000 to $300.8 billion by 2010. Add in the 35% in grant-making foundations since 2000, and these all signal significant demand (Blackwood et al 2012: 5). American society wants to give, American families want educational choice, and mixed together, we are seeing a rapid expansion in what has become known by educational commentators as ‘New Philanthropy’ (Ball 2010) and a concurrent shift in the ways in which society now thinks about education. Within this emerging landscape of ‘giving’, Ball argues that what is now is a more ‘direct relation of “giving” to policy and a more “hands-on” approach to the use of donations.’ This ‘New Philanthropy’, assumes a more proactive role in policy, as well as an expectation to demonstrate, through evidence that ‘good’ work is effective in remedying educational problems. In sum, ‘giving’ in this context is altruistic on a grand scale; it may be politically driven but it is still bound by the drive to improve life chances, because of and sustained by philanthropy’s historical relationship to ‘goodness’ and ‘benevolence’ (Srivastava and Oh, 2010). 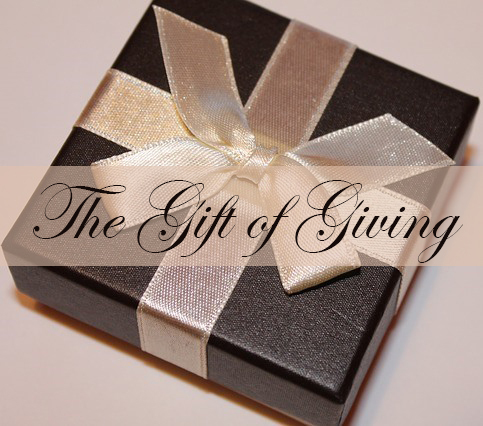 With so many choices for whom we may give to – why give to the gifted? Aren’t they already advantaged by their intellectual predispositions? Well, as you may know, gifted children are severely lacking in any direct allocation of resources in our public schools. In the United States, gifted students comprise approximately 6-10% of the total student population, or about three to five million students (National Association of Gifted Children). Extrapolating from the most conservative of these estimates and the most recent census data, this means that there are more than 100,000 high-ability students ages 6 to 17 in Los Angeles County alone. Like all young people, these children deserve and require nourishment through education, as well as through relationships with accepting peers. To flourish, gifted children often require extra support such as an advanced, intensified, accelerated education (Fosters & Matthews, 2005); access to mentors willing to help grow talents and depth of creativity (Gallagher, 1985); and a learning community comprised of other gifted individuals with whom they can connect (Delisle, 2014). Gifted youth who do not have access to these forms of support are vulnerable to depression, anxiety, alienation, boredom, frustration, and social-emotional developmental problems (Davidson, 2004). As a result, gifted children are at risk for poor life outcomes. Research demonstrates, for example, that boredom is among the top reasons that young people drop out of school (Bill & Melinda Gates Foundation, 2006), while depression is a leading cause of failure in school and in life (Weinberg, Harper et al, Secondary Education and Beyond). Meanwhile, current educational policies focus resources for special needs almost exclusively on remediation for students who are falling behind — failing to support the needs of gifted students (Finn and Sousa, 2014). In the absence of a federal mandate to support highly able young people, it is left up to each state — and often each local school district — to set policy regarding funding for gifted education. However, California is one of 15 states that does not mandate gifted educational services (Davidson Institute). As a result, a growing number of high-ability students in our region and beyond lack access to the support they need to achieve their potential. Clearly, gifted children need resources and so do their parents: Parents, it is argued, are increasingly appalled by the impact of policy and its by-products of ‘rote learning and teaching to the test’ (Baltodano 2012: 490). Cooper and Sureau (2007) see ‘dissatisfaction’. The latter’s formative study of the home-schooling movement analyzed why more than 1.35 million children in the U.S are now home-schooled, and they identified dissatisfaction with ‘the poor academic performance of students’ as a significant driving force for the significant growth in home-schooling of children (2007:113). But, to make choices and find an alternative as a parent, one depends on resources – human and financial. Parents who are able to provide assistance by themselves in the early years need more once their gifted child’s ‘rage to master’ (Winner, 1996) sets in. Resources are necessary to nurture the gifts of our children with high potential. Without help, these gifts will remain undeveloped. As Amanda Ripley pointed out in her book, The Smartest Kids in the World and How They Got that Way, intellectual ‘boredom is the specter that haunts children from kindergarten to graduation…engaged kids don’t notice you; bored kids do.’ In addition, if you are a gifted, low-income child, the future landscape is even more bleak: Despite scholarships, the differential economic resources available to parents over time forge a divide between the assistance children of middle-upper parents receive as opposed to the less financially privileged. Long term trends do suggest that gift-giving, ‘New Philanthropy’, is here to stay (Hentschke 2007: 298); but the act of giving to the gifted remains undernourished. IEA, like many other not-for-profit organizations, strives to equitably improve life chances of under-served populations. We know that being gifted is, and should be recognized as, a gift, but gifted children also need gifts to support their future and our country’s future. I’ll be making my donation to IEA as a gift to this future – and I hope you will join me. This entry was posted in About IEA, Gifted Information and tagged gifted, gifted children, IEA, Louise Hindle, philanthropy. Bookmark the permalink.